We reported a short while back that Alanya was once again in the international schedule. 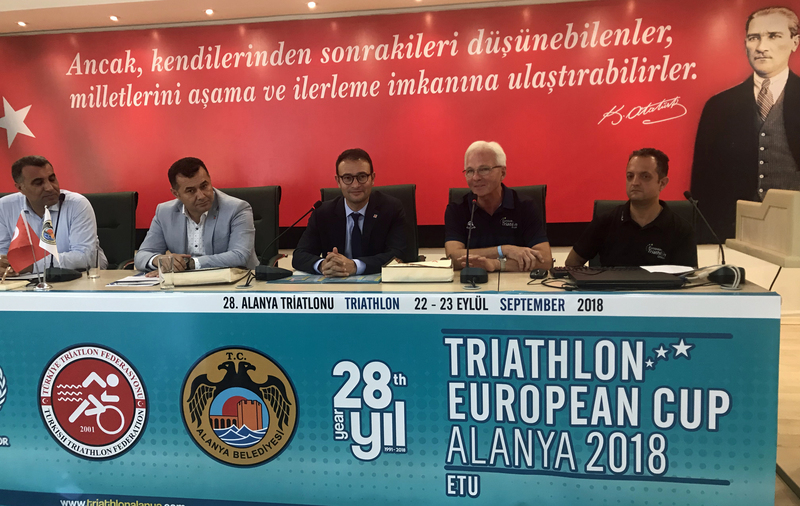 The Press Conference was held, with the new Turkish Triathlon Federation President, Bayram Yalçınkaya, ETU Technical Delegate, Eugène Kraus and Race Director, Mehmet Zafer Peker and Mayor of Alanya, Adem Murat Yücel. With the races traditionally spread over two days, it will be a chance for the athletes to support each other. Saturday sees the Junior Women and Elite Women race, with the Men racing on Sunday. For the Elite, there is the usual depth of prize-money. This year the juniors will also be able to race for a share of the USD 1,200 that the organisers and the ever-supportive Municipality have provided. This will be a great chance for both Juniors and Elite to collect extra ETU points as the season nears its finale in Funchal. Click here for the Elite Women’s current ranking. The LOC have provided us with a “bike fam” this year and so, with the temperature certainly a lot nicer than in most places in Northern Europe, the athletes enjoyed a police-led tour around the bike course. The Elite Women’s race will see an impressive 11 nations in the line-up. Heading that line-up is previous winner here, on one of her favourite courses, Ukraine’s Yuliya Yelistratova. Since her return to the circuit, she has consistently returned some of the fastest run splits. No doubt about her fitness there. 11 times she has raced here, with 7 podium appearances. She will need a good swim and some hard work on the bike to give her a free run to the finish tape. Challenging her will be Russia’s Ekaterina Matiukh. Her first visit to the race, she will be looking to make good her strength in the swim and on the bike to try and keep ahead of Yelistratova. Her victory in the rain-swept Olsztyn will be a memory way back in the past as she enjoys the beautiful weather of Alanya. Close enough in the points ranking to threaten Yelistratova, the battle between these two could be quite exciting. France is fielding Emmie Charayron who had a solid race in Melilla at the start of the season. Turkey’s fans will be cheering on Ipek Öztosun who had a great race last weekend in Ohrid to edge out teammate, Ece Calp. The Elite Men, 60+ of them, will represent 22 nations, including one athlete racing under the ITU flag.Leading them out will be Spain’s Roberto Sánchez Mantecón. His bronze in Tartu placed him firmly into the spotlight and we can expect to see him push the other more experienced athletes. Hungary’s Tamás Tóth raced both Tartu and Glasgow and, remarkably, placed 6th at both events. This weekend could be his chance to improve. One of the older athletes on the circuit but still strong, with a top ten finish in Tartu, is Russia’s Alexander Bryukhankov. He can be guaranteed to push all the way and he too knows the course well. On the new course in Székesfehérvár, a bronze medal went to Italy’s Matthias Steinwandter but with an eye on the ETU Rankings, the real battle out there could be between our athlete from Spain and our athlete from Hungary, as they are separated by a few points, with Tóth leading. The ETU Rankings for the Elite Men can be checked here. To read the Athletes’ Guide, please click here. The Junior events are always hotly contended and we can be guaranteed to see a huge range of skills and strengths. With an early season 4th in Dnipro, followed up with an equally solid performance at the YOG Qualifier in Banyoles this year, Alevtina Stetsenko RUS, will be hoping to secure a podium place and collect valuable points for her nation but she will have to work hard against Til Ocvirk CRO, whose recent silver in Ohrid, after a fifth place in Tulcea, suggests she is in good form. They will both have to contend with Croatia’s Ivana Granosa who was just one place behind Ocvirk on both occasions. Hungary’s Lili Mátyus, whose times have been good this year and who will have the added incentive of trying to collect points for Team Hungary. Coming over from Africa, is the young and promising athlete Syrine Fattoum TUN. Her decisive victory in 2017 at the Yasmine Hammamet ATU Triathlon African Championships was achieved on pretty much a solo effort, that was concluded with a truly impressive run. We got to see her swim and bike power again when she easily won the 2018 Algiers African Youth Games. Only young but she is in with a chance of at least a top ten finish here. All the way from Australia, comes Jasmine Eden Gray. She collected a gold medal this time last year when she raced, as an Age Group athlete in the 16-19 category in Rotterdam. The sunshine this time around in Alanya will be a delight to her and with this bike course, she might well be pulling along a chain of athletes behind her. Turkey will be cheering on a collection of its improving young athletes. 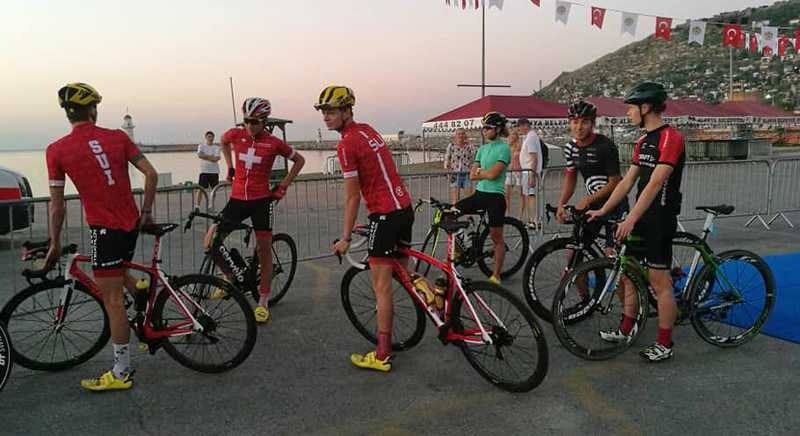 After the two recent trips out to Loutraki and Ohrid, they arrive here with race experience, race pace and a race mind-set. Best result from Ohrid went to Beyza Cesur. She ran faster than both Ocvirk and Granosa but will have to work hard on the bike to be in with a chance. Pretty much the same pace is Elif Manisa, who came home in 6th last weekend. The entire start list can be seen by clicking this link. For the Junior men, race favourite has to be Great Britain’s Daniel Dixon. His victory in Riga earlier this season identified him as one to watch for the future. Not the final run pace of team-mate Willis but enough to keep him ahead of Cameron Main with whom he can expect to be riding away from the pack. 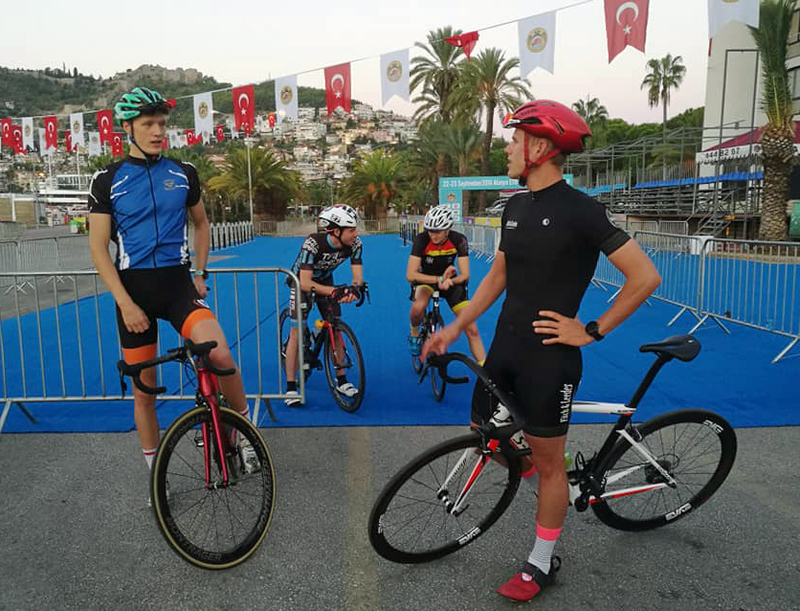 These two together could signal a GB breakaway on this course and even with Ohrid behind them and top ten places for Kıvanc Sahinkaya and Muzaffer Gur, it seems unlikely that Turkey will get a gold against the more experienced athletes. Watch out too for young Henry Graf GER. He had a great race in Banyoles for his first international event and this event, a big step up for him, is where he might collect some valuable points. For the whole start list, please click here. Big thanks to Pertti Tomminen for the photos and videos. 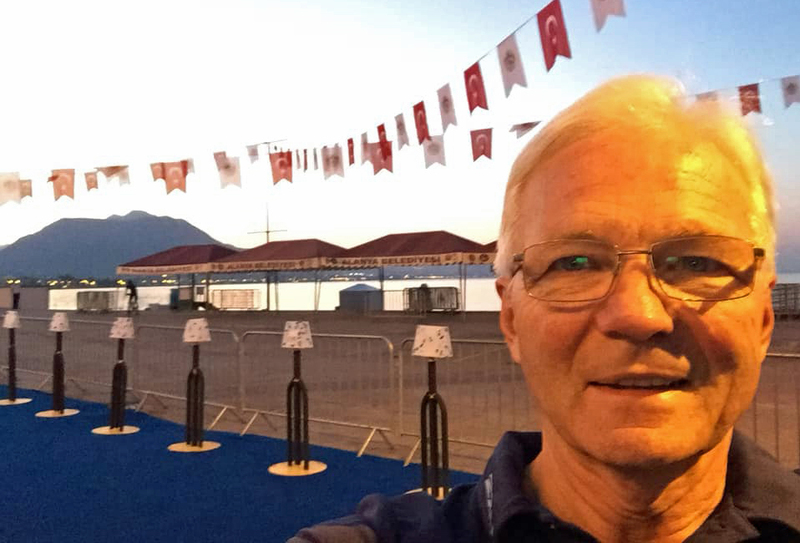 He is one of the team of officials who have supported this event over the years and who is led by our Technical Delegate, Eugène Kraus (photo above), who was up with the sunrise this morning to oversee the “bike fam”.